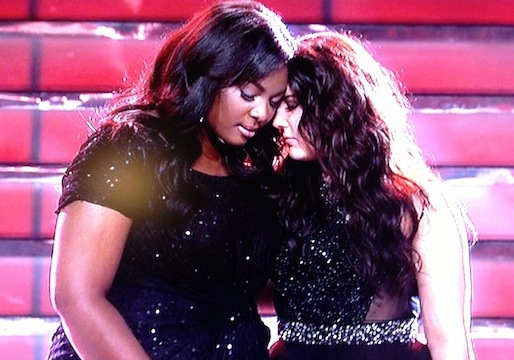 Well, there it is — season 12 of American Idol has come to an end, and Candice Glover is our very deserving winner. She follows in the footsteps of Kelly Clarkson, Fantasia Barrino, Carrie Underwood and Jordin Sparks to become the fifth female winner of the show, and the first woman to take home the prize in six years. Congratulations to Candice. For a season that I’ve called listless and disappointing several times in recent weeks, I have to admit — I’m sad it’s over. I love this stupid show — I have from the very first episode of the very first season — and even when it doesn’t live up to its potential, I can’t help but feel invested. It’s my curse, and I accept it. It’s been well documented that the show has faded in the ratings, and that changes will have to be made in order for it to remain in any way relevant. Dave Holmes, a brilliant and hysterical Idol recapper for New York Magazine‘s Vulture, actually (mostly) laid off the snark to list some ideas for how it can get back on track. I agree with all of them, as the producers start the inevitable retooling process, I mostly hope they listen to his last suggestion — leave the gimmicks to others. As he writes, “the key elements for your success are already there.” So change the judges if you must, but leave the foundation of the show alone. Idol is an institution. An institution, faulty as it may sometimes be, that has produced countless hours of entertainment, and has brought performers like Kelly Clarkson, Carrie Underwood, Jennifer Hudson, Elliott Yamin, Kimberley Locke, Haley Reinhart, Allison Iraheta and, yes, Candice Glover, to our attention. I love this institution, and I’m not nearly ready to give up on it yet. This entry was posted in Television and tagged American Idol, Candice Glover, Kelly Clarkson, Kree Harrison. Bookmark the permalink.